Paul qualified as a chartered legal executive in 1994 (with seventeen years previous legal experience) and is an accredited mediator. 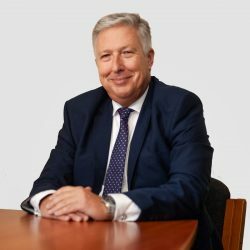 He specialises in all types of property disputes including commercial lease disputes (forfeiture, dilapidations and breaches of covenants) boundary disputes, rights of way issues, adverse possession, trespass and Party Wall Act disputes. Paul conducts all types of landlord and tenant disputes involving domestic property acting for both landlords and tenants. He advises clients in relation to possible professional negligence claims against surveyors and managing agents and conducts leasehold enfranchisement applications. Paul’s approach is to work closely with clients so as to take a commercial approach and his strategy is to aim for an early resolution of their case. Paul also undertakes Leasehold Enfranchisement work and is a member of the Federation of Private Residents' Associations (www.fpra.org.uk). Paul is also a fully qualified mediator.